Hi Everyone! I am here to share my creation for Day Two of The Craft's Meow stamp previews! 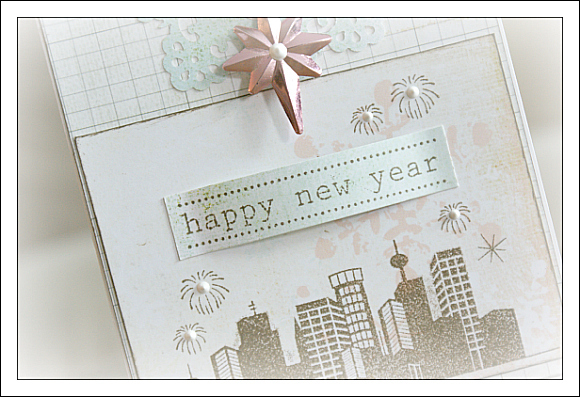 Today's featured set is entitled "Happy New Year" and is a wonderful collection of images and sentiments. 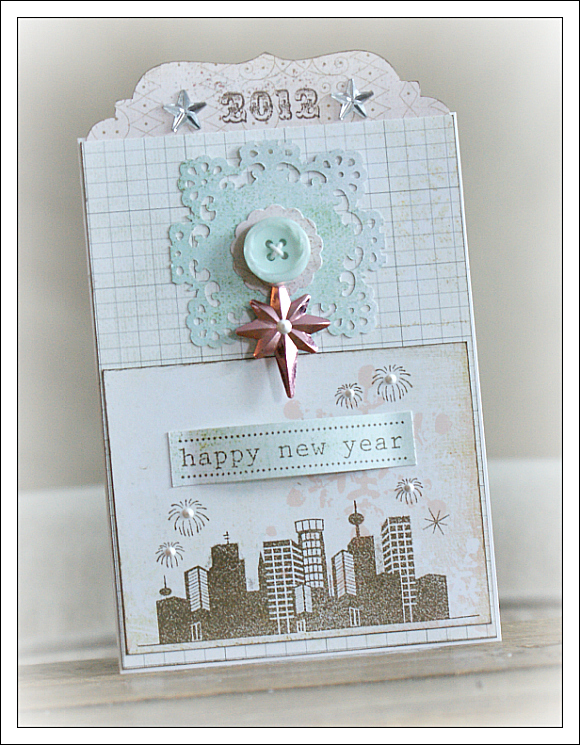 I love making New Years cards...I always have a tough time finding stamps and papers for this holiday that is so lovingly celebrated by my family back home...Every now and then, I like to send a card, and this one will be perfect! And given that it is only the beg. of December...It might even reach my Nona in time! I've used a few more of the lovely Fancy Pants Winterland papers....A beautiful mini vintage ornament star, and a few other embellies like the perfect lil button (also by Fancy Pants) and teensy little silver stars. 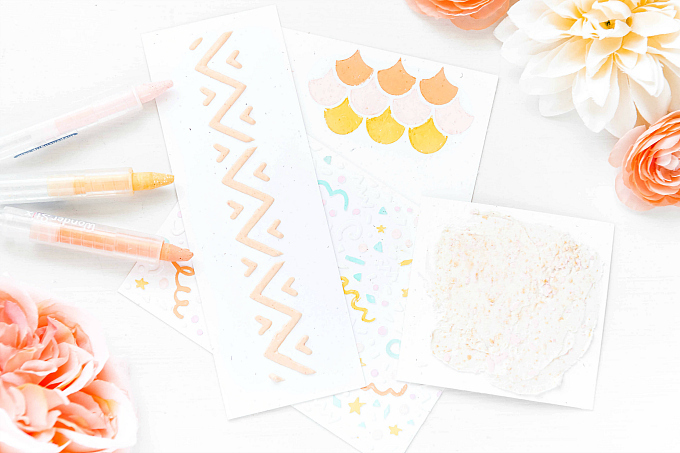 For more beautiful creations, check out the TCM blog for all the links and be sure to leave a comment for a chance to win this set! Loving that stamp and you used it perfectly. OMG You can do anything. I LOVE your cards!!!!!!!! 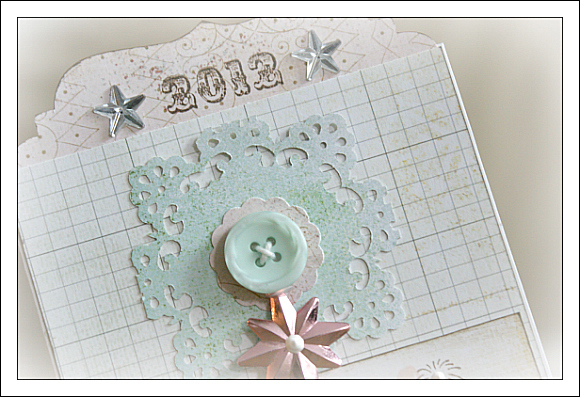 Beautiful card, really like your choice of papers, quite elegant while being simple. Love it! You have done a wonderful job on this card,thanks for sharing! This is awesome- LOVE what you did w/ this set and love that brown/blue color combo!